The military leaders of the “DNR” [Donetsk People’s Republic] are forced to conclude that, as was stated in a report addressed to the leadership of the “DNR” terrorist organization, “overall, mobilization measures on the territory of the republic did not result in a significant positive effect on the staffing status of the republic’s armed formations.” The total number of so-called “recorded conscripts” enlisted during the conflict barely exceeded 1,000 persons. 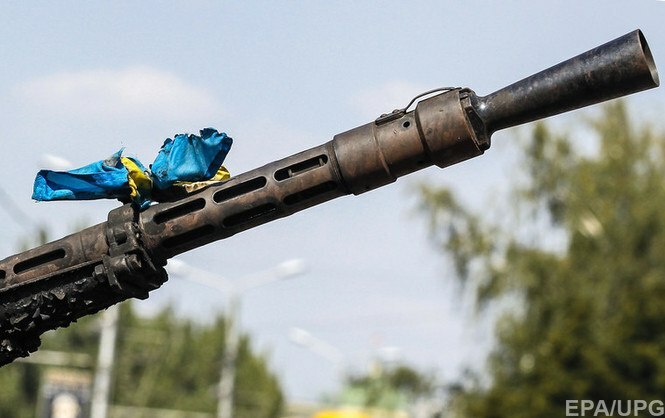 A conflict is exacerbating between the “Oplot Battalion” unit stationed in the Petrovsky district of Donetsk, and local insurgent gangs that do not obey the “DNR” leadership. Isolated armed clashes are reported. The conflict is centered around the distribution of “aid” arriving from Russia. In the area of Olenivka – Dokuchajevsk, Russian-terrorist troops continue active work to restore the combat capacity of the armored unit withdrawn to the area, and the remains of its supporting composite artillery group. According to our reports, these units received a supply convoy (carrying gear, ammunition, and spare parts) that had previously passed through Amvrosiivka and Starobesheve. At this time, this artillery group’s former firing positions to the south of Dokuchajevsk remain unoccupied. Despite the announced “ceasefire,” Russian-terrorist troops continue shelling the positions of Ukrainian troops in the area of the Debaltseve foothold. Fire is delivered from mortars and grenade launchers, in some cases, from cannon artillery. Units of the Horlivka gang (former gang of Ihor “Bes” Bezler) are operating in the area of Debaltseve, while local insurgents are active in the area of Chornukhyne – Verhulivka, and Russian mercenary units are attempting frontal and head-on assaults near Nikishyne. During shelling and armed provocations, the actions of various Russian-terrorist groups in this area appear to be well-coordinated and organized. The enemy’s heavy armament previously spotted moving along the Bakhmut motorway (tanks, towed artillery, self-propelled rocket launchers) is being distributed between other sections of the “front” in the Luhansk Oblast. Some of that equipment and armaments were sent to the gang of Oleksiy Mozgovoy to “replenish the losses” that the gang is, in reality, not incurring at this time, due to a sharp drop in its combat activity (at this time, the units actively operating from the area of Alchevsk – Stakhanov are exclusively units of Russian mercenaries and the Russian army). Some of the crews and details who man the equipment and armament arriving in this area are refusing to continue taking part in combat, demanding “leave” and “rotation.” The command staff conducts “explanatory meetings” with the “non-conscientious” insurgents and Russian mercenaries, threatening to deprive them of payments and bonuses for earlier combat action. A “battalion of the army of Novorossiya” is being deployed from the area of Krasnodon to the area of Stanytsia Luhanska and Shchastya. This unit is formed of Russian mercenaries who underwent instruction at the training grounds of the Russian Armed Forces in Rostov Oblast (Russia). The battalion consists of 2 companies (up to 240 insurgents) and employs a mortar battery, several anti-tank missile launchers (up to 4), 10 armored combat vehicles and 3 tanks. This entry was posted in Dmitry Tymchuk, English, English News, South&Eastern Ukraine, War in Donbas and tagged #ArmUkraine, #RussiaInvadedUkraine, #UkraineUnderAttack, Dmitry Tymchuk, Information Resistance, Ukraine. Bookmark the permalink.